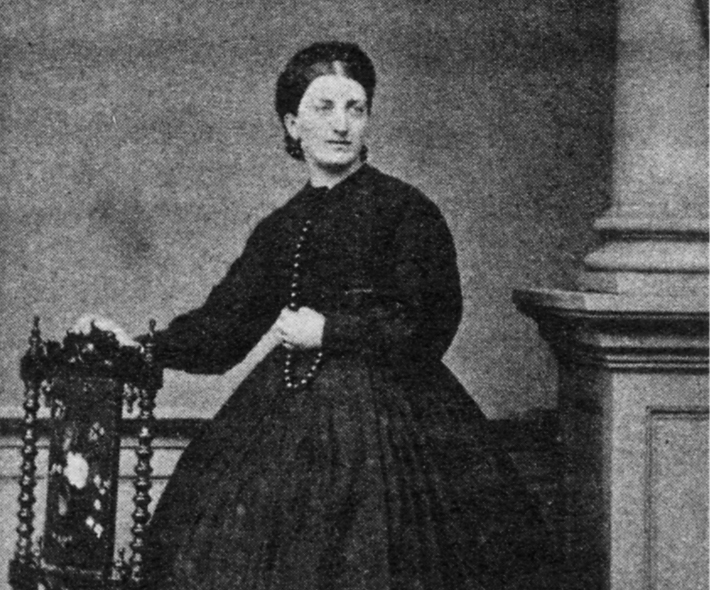 Born in London on 12 March 1836 the daughter of a linen merchant, Isabella Beeton (née Mayson) was a Victorian wife, mother and journalist whose ‘Book of Household Management’, published when she was just 25, is one of the most famous cookery books ever published and is still in print today. After marrying wealthy publisher Samuel Beeton in 1856, Mrs Beeton began to write a cooking column in her husband’s publication The English Domestic Woman’s Magazine.In 1859 the Beetons launched a series of monthly instalments in the magazine, later published in one volume, as Mrs Beeton’s Book of Household Management, selling 60,000 copies in the first year. According to the Oxford English Dictionary the term ‘Mrs Beeton’ became used as a generic term for ‘an authority on cooking and domestic subjects’ as early as 1891. What is the ‘Book of Household Management’ about? The opening line truly helps to characterise Mrs Beeton’s book: “As with the commander of an army, or the leader of any enterprise, so it is with the mistress of a house.” Mrs Beeton’s book offers advice to other women on the successful running of their house: managing servants, keeping accounts, entertaining guests, childcare and hundreds of recipes. When was Mrs Beeton writing? The book itself was produced mid-industrial revolution, when swathes of British people were moving from the countryside into relentlessly expanding towns and cities. This shift in lifestyle from rural to urban produced a middle-class ideology that put women at the forefront of the domestic economy. Why was Mrs Beeton different to other Victorian women? Despite producing a book illustrating the duty of women within the home, Mrs Beeton herself was a ‘public’ woman, working amongst men. Commuting to London every day with her husband and leaving her young children at home, she stepped outside of the sphere that her book so avidly advertised. She even became the editor of her husband’s magazine for two years. If hers wasn’t the first book of it’s kind, why was it so revolutionary? As a Victorian woman Mrs Beeton was highly unusual to have been published under her own name. It was certainly her marital connection and the topic of the work itself that allowed her to be published. Historians have labelled her work a ‘powerful force in the making of Victorian middle-class domesticity.’ Above all this was the realm of woman and the one place they could exercise authority and, for most, have anything that resembled a career. Why is her book so important to women’s history? It is hard to shake off the thought that Mrs Beeton’s work is exactly the kind of anti-feminist and gender-stereotyping literature that we aim to abolish in 2019. However, despite keeping women within their domestic spheres, her book created a sisterhood that allowed women to feel that they had some control within a lifelong career that was forcibly thrust upon them by society. It was an important milestone for Victorian housewives everywhere. Isabella Beeton died in 1864 aged just 28, after giving birth to her third child. Her death was most likely puerperal fever caused by the surgeon having not washed his hands before helping her through her labour. Despite her early death, Mrs Beeton’s legacy survives to this day. Although the Beeton’s family home was destroyed during the Second World War, you can visit her grave at West Norwood Cemetery in London. If you fancy reading some of her advice and recipes for yourself the Book of Household Management is also still available to buy in bookshops and online today!